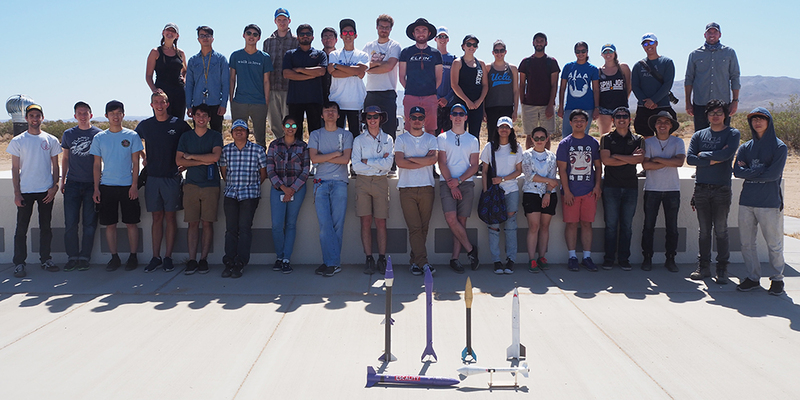 MAE 157A recently completed their design-build-launch competition in the Mojave desert, with Team Sharkie coming out on top after two repeatable launches and reusable vehicle recoveries. 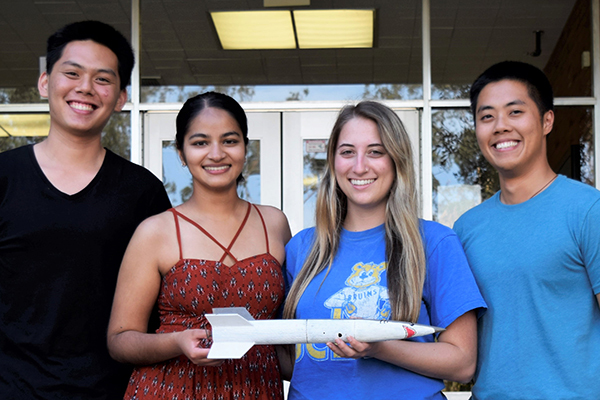 Student teams were tasked with designing rockets to launch an altimeter, on-board camera, and egg two times with predictable trajectory and recovery as part of the competition. Two teams also elected to build and hot-fire larger hybrid rockets. Team Sharkie: Jason Jodjana, Aman Kaur, Rachel Siver, and Michael Williams.